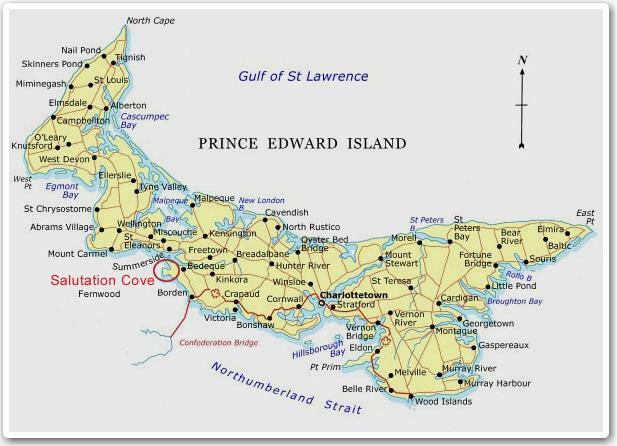 PEI is accessible by plane, ferry or car via the 11 km Confederation Bridge. If you need more specific directions than the following, please give us a call at (902) 887-3012 or check out Mapquest.com for door to door driving directions. FROM CONFEDERATION BRIDGE. Take Hwy 1 about 2 km. At Rte 10 Turn left. Go 7 km to Rte 112. Turn left. Go 2.5 km turn left on Fernwood Rd. Go 1km continue to right on Fernwood Rd (119). Go 4km. Right on New Road. We're at the end of the road. FROM CHARLOTTETOWN. 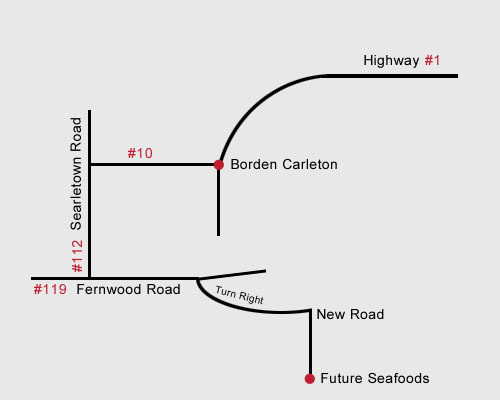 Take Hwy 1 to Borden-Carleton. At Rte 10 turn right. Go 7 km to Rte 112. Turn left. Go 2.5 km & turn left on Fernwood Rd. Go 1km, continue to right on Fernwood Rd. (Rte 119). Go 5 km. Turn right on New Road. We're at end of road. FROM SUMMERSIDE. Take Highway 1A east until you come to a Y with highway signs (left to Confederation Bridge; right to Bedeque) Stay to the right. At the stop sign at Callbeck Road, turn right. At the next stop sign (Village Store) turn left on Route 112. Go 1.4 km to Fernwood Road (Rte 119). Turn right. Go 1 km and continue right on Fernwood Road. Go 4 km and turn right on New Road. We're at the end of the road. Open daily Monday - Friday 8:30a.m. - 4:00p.m. Atlantic Standard Time. Please call in advance prior to picking up any orders.